INDUSTRY.co.id - Serpong - Sales of Mitsubishi Fuso trucks were not interrupted and even increased despite the weakening rupiah exchange rate which boosted the prices of commercial vehicles in the country. 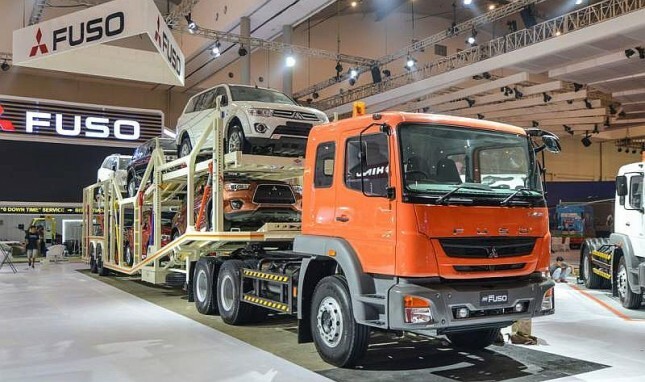 "We have raised prices (Fuso trucks) up since May 2018," said Director of Marketing and Sales of PT Krama Yudha Tiga Berlian Motors (KTB) Duljatmono met on the sidelines of the Gaikindo Indonesia International Auto Show (GIIAS) in Tangerang, Banten, which took place August 2-12 2018. According to him, the increase in the price of the truck so far has not disrupted the sale of Mitsubishi Fuso. Even in the first semester of 2018, KTB which was the agent of the Fuso brand holder gained a 25 percent increase in sales. "The price increase of 1.5 percent is not influential, maybe because it is a good business again," Duljatmono said. He said there were three drivers of growth in demand for trucks and other commercial vehicles in Indonesia, namely infrastructure development and improved prices for plantation commodities, especially palm oil and mining commodities, especially coal. Duljatmono is optimistic that the growth in truck demand in the first semester will continue in the second half of 2018, in line with the improving economic growth in Indonesia. "If there are no major events, the demand for trucks in the second semester is usually better than in the first semester," he said. Therefore, he continued, KTB launched five new variants of medium trucks, Fighter, to target the infrastructure, logistics, and plantation and mining markets. KTB targets that by the end of 2018 Fuso truck sales will exceed 53 thousand units with a market share of around 46 percent. Java, including the Jabodetabek region, still contributes the largest sales of 55 percent, then Sumatra around 30 percent, the rest is in other regions in Indonesia.